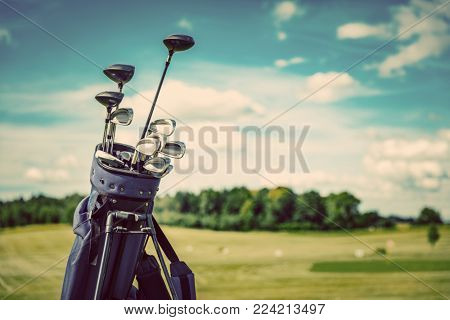 summer › Buy Poster of Golf equipment bag standing on a course. Summer sport and activity. Golf clubs close-up. Poster of Golf equipment bag standing on a course. Summer sport and activity. Golf clubs close-up.